GP computer glitch means thousands may have been incorrectly or not prescribed! A computer glitch has resulted in thousands of patients being at risk of incorrect prescriptions of statins, meaning patients who should have been put on statins have not been prescribed the medication, and patients who shouldn't have been given statins may have been prescribed it. One in three GP practises use a calculator to help assess clinical risks of patients developing cardiovascular disease which statins help to prevent; but the blunder has led to patients needing the medication not being prescribed it, and vice-versa. The system, called QRISK2, uses factors such as blood pressure, weight, health problems, and family medical history to help identify if a patient is at risk of cardiovascular disease, but the calculations have come out incorrect leading to potentially 2,500 GP practises issuing the wrong advice. The Medicines and Healthcare Regulator Agency (MHRA) has launched an investigation in to what's happened, and it has already been revealed that the errors date back to 2009. GP's are being told to avoid using the systems until the errors have been rectified, and patients are to be contacted by GP's as soon as possible. The worry is that, for more than seven years now, patients in need of the vital drug may have been told they don't need it; whereas people being put on the medication may be unnecessarily using it and suffering the side effects. Given the length of time that has passed, there is a very real worry that patients may already have suffered when they could have been saved by the drug. We have to acknowledge that fatalities may already have happened. NHS advice is that anyone with a 10% chance of cardiovascular disease within the next 10 years should be advised to take medication like statins to help lower their cholesterol. The glitch in the software means that the risks of heart disease could have either been understated or overstated. It means that those in grave danger of heart attacks have not been offered cholesterol-lowering drugs when they should have, leaving patients at risk of serious heart problems. Anyone with concerns is being asked to see their GP immediately for advice, and GP's should be contacting potentially affected patients soon as well. Research and evidence suggests that statins are safe and effectively help to reduce the risk of heart attacks and strokes. So not being put on the drug may have left thousands at risk of serious and life threatening cardiovascular diseases, and for some it may simply be too late. On the flip side there are known side effects to taking the medication, such as depression, fatigue, muscular pain, diabetes, and memory problems. Evidence suggests that the risk outweighs the benefits, but if you have been put on statins incorrectly as a result of the glitch in the system then you're being left open to these side effects for absolutely no reason at all. This glitch is a significant problem. "There's potential harm both ways... What happens when a patient who had been of a high risk and this hadn't been identified and they've now had a stroke or heart attack? Similarly if someone had a low risk and they've been put on a statin and had a side-effect who's responsible? That's the clinical risk." It's fair to say that GP's using these systems are losing confidence in their effectiveness. This glitch has directly put patient health - and lives - at risk. It begs the question: how can we trust these systems moving forward? If such a simple glitch can lead to patient's lives being put at risk, how can we know that what the computers are telling us is accurate? Equally as worrying is this: are there other glitches in the system that we don't know about? If so, who has already been out at risk in the past, and how do we stop this from happening again? On top of this, patients are now expected to be more anxious about the advice they receive as well. Our team of expert lawyers have been fighting for the rights of medical negligence victims for years, and we have been right at the heart of medical scandals in the past like the PIP Breast Implants scandal and the Metal-On-Metal Hip Replacement problems to name a couple. 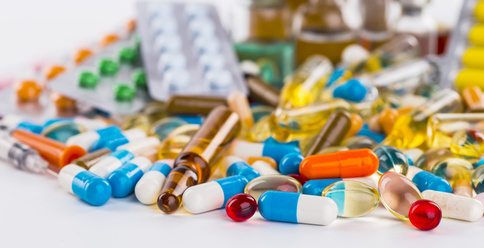 On top of that, we regularly represent victims for medication errors and our specialist Medical Negligence Solicitors and Product Liability Lawyers are here to help. "This is not the first time patients have been put at risk by inadequate systems or software failures. This is a serious situation - people right now may have been put at increased risk of heart diseases as a result of the glitch, and others may be suffering side effects for taking medication they don't need. For some, the damage may already have been done." If you have been affected by statins medication error please contact our team for advice on 0800 634 75 75.